Characteristics Of An Entrepreneur: Do You Have What It Takes? If you are considering life as an entrepreneur, it’s important to recognize whether it is the right path for you. Perhaps you have already made the decision to take the plunge, in which case you have probably already considered your choices! 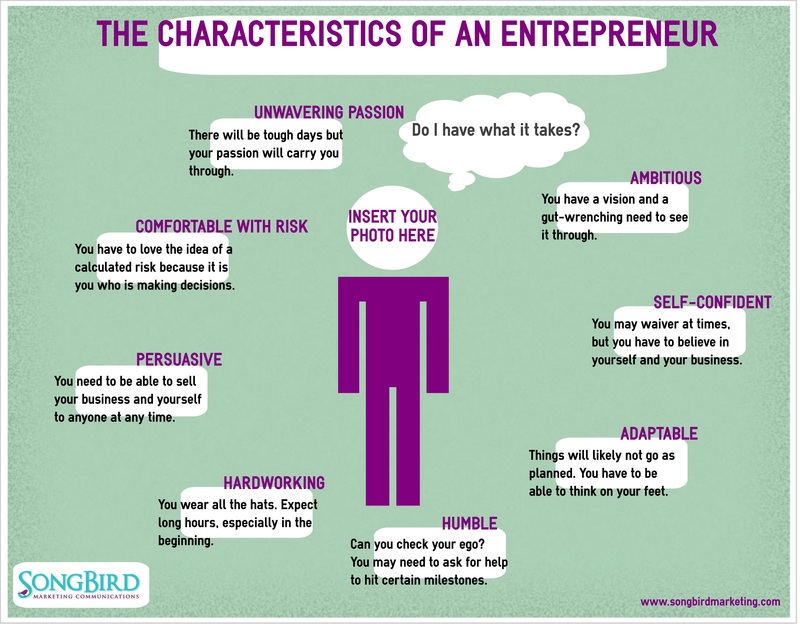 The infographic below goes through the characteristics that an entrepreneur needs to have to make it work.